As I continue to fight to get over a lingering illness, my energy is slowly coming back. A couple of days ago, I knew I was on the mend because I felt like going outside to take some pictures. I’ve been calling her Joy—first, because her visits delight me. 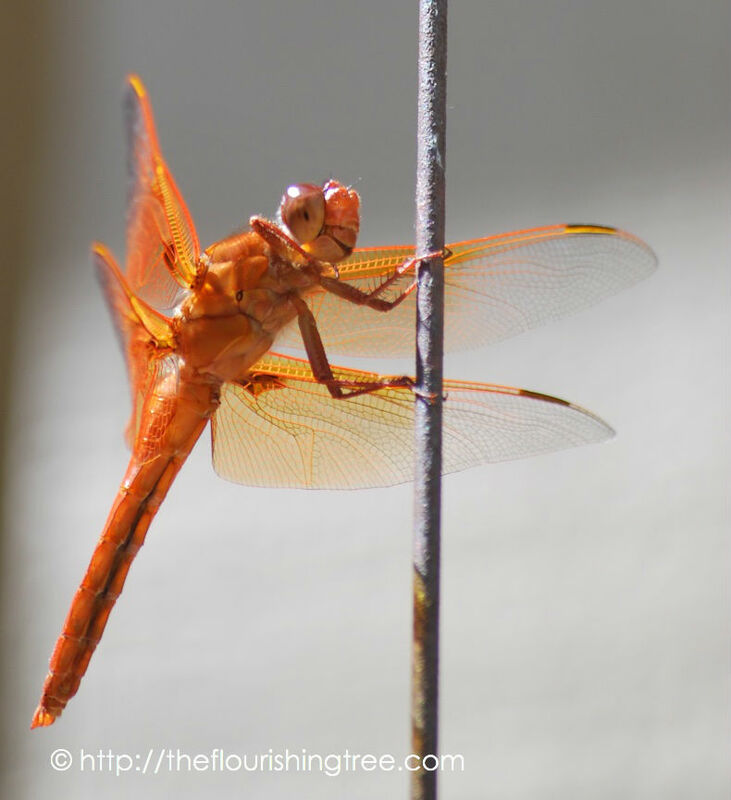 Second, one of my dearest friends is named Joy, and she loves dragonflies. So when this small, beautiful creature visits me, she makes me smile and makes me think of my sweet friend. What visitors delight you in your garden? Or bring you joy on your daily walk? Or welcome you in a special place you visit to unwind? 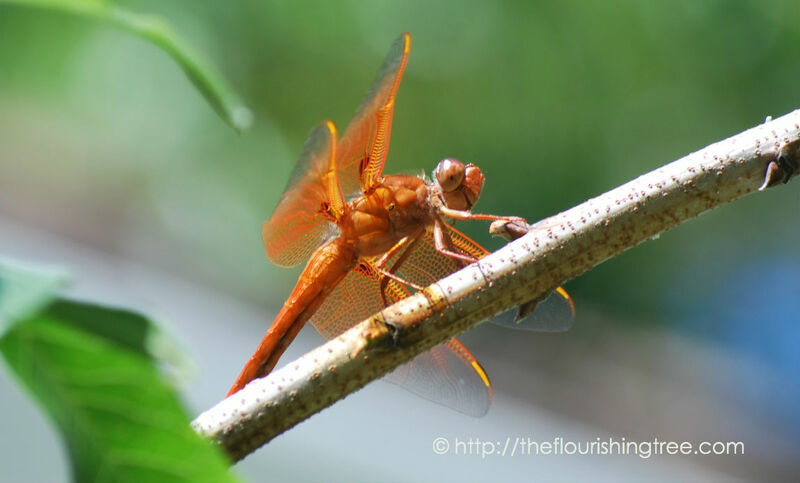 This entry was posted in flourishing tree and tagged dragonflies, dragonfly, friendship, joy, nature photography, orange dragonfly, visitors by hopesquires. Bookmark the permalink. Thank you! Having a cooperative subject made a great deal of difference. Now, this definitely made me smile. 🙂 There’s nothing quite as rewarding as springtime in the garden. Being in my garden gives me such pleasure and energy. And my regular “visitors” make it that much more special. There’s one rather enormous frog who lives in my decorative pond. The pond so very badly needs to be cleaned out, but I do so hate to disturb his abode. 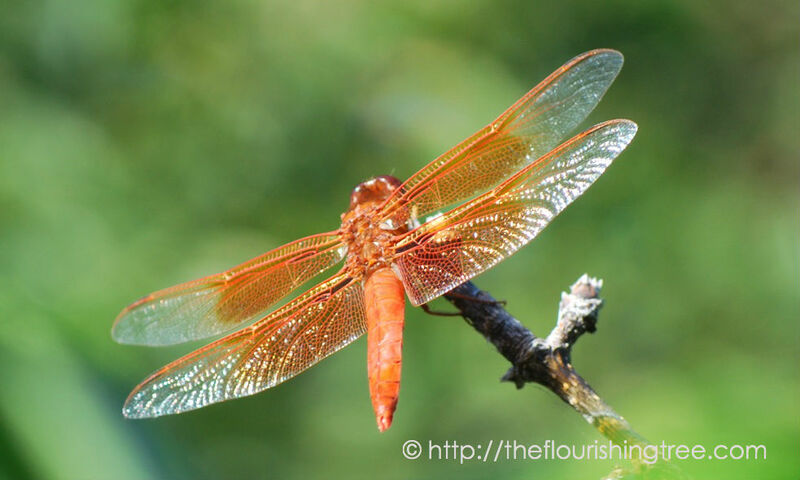 As for Joy, the dragonfly, she’s there to watch over you…and she’s lovely, the same color as your hair! An enormous frog? How fun! Definitely don’t disturb him. The cleaning can come later — or can you clean it in some spots without disturbing him? I hope you don’t mind having a dragonfly named after you.